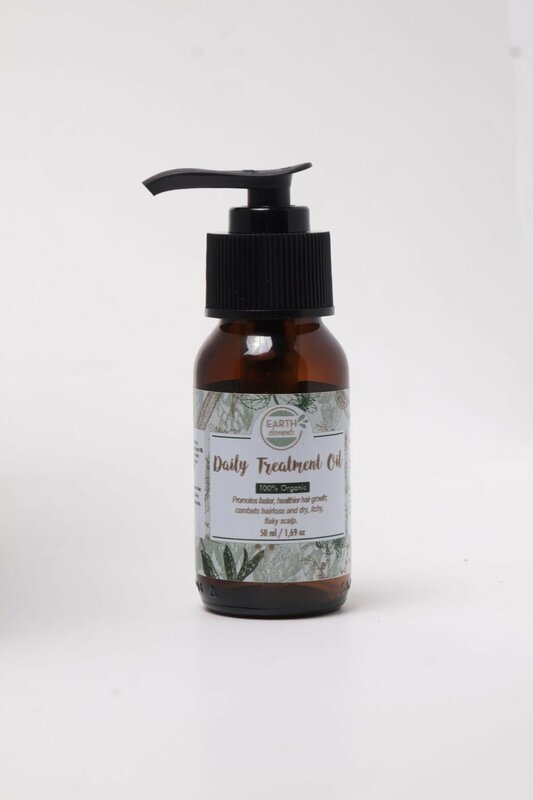 The Daily Treatment Oil nourishes and protects all hair types. This amazing blend of natural plant oils not only strengthens and protects, but also treats itchy and flaky scalp conditions. An amazing blend of oils that give your scalp all the necessary nutrients for growth, shine and strength. Great to use in variety of treatment methods suitable for your hair type, you will notice an immediate improvement on very dry hair, and benefit from the results in no time. Scalp itchiness and dryness is relieved immediately. The treatment can be used before shampooing, or just before styling for beautiful results. Your scalp and hair are protected from the harsh chemicals found in many shampoo. Shampoos strip your hair of its natural oils and moisture. The oils provide your hair and scalp with the necessary protection, while at the same time nourishing for shiny, healthy hair. The ingredients are all natural plant oils. Encourages hair growth, treats hair loss, thickens hair, soothes itching and flaking scalp and promotes stronger, healthier hair.